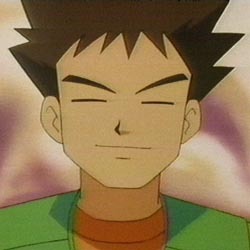 "MAKE A BUGGED EYED FACE"
SO I'M DOING THIS "O_O"
You saying I have squinty eyes pokeamie? Okay, it looks like they upped the censor too. It won't let me put in "Slave" and you can't bypass it if that specific combination of letters is included. So much for HM Slave... But hey, they extended the character limit to 12! Yeah, I tried to nickname my Oddish "Walkweed" but it wouldn't let me. So I just named him Raffi instead. Haha, I found a possible reference to One Hundred and One Dalmatians. In Lumiose City, at the café adjacent to the Furfrou Friseur (try saying that five times fast), there's a customer who says, "You know, when I leave home every morning, I kiss every one of my 101 Furfrou good-bye." Last edited by Cat333Pokémon; October 12, 2013 at 11:33:24 PM. Use the Circle Pad to navigate long distances in Luminose City. Always stop before you wish to turn using the directional pad. It automatically stops every 90 degrees to give yourself bearings. There's even a Slenderman reference in this game. I knew someone would post the over 9000 one eventually. In the Head It minigame in Amie, what the heck are you supposed to do to knock the final large yarn ball? I haven't gotten the timing even once. Edit: Forgot to quote a post from Cat he posted about the poke bank thing. Last edited by kakashidragon; October 13, 2013 at 11:26:36 AM. *facepalm* Why didn't I realize this earlier? Why is Pikachu so special? His cry was replaced with "Pika Pika," Pokemon Origins... it's not just a Red/Blue remake, it's totally gonna be Yellow: Special Pikachu Edition. Just a speculation, but it really did take me a day to realize the cry was replaced. Just picked up this game today, and after playing it for 45 minutes...it is glorious. Apparently the Power Plant can have 3D turned on. I think the encounter rates in caves may have been lowered. I'm just not running into many wild Pokémon. Something strange happened. I walked into the Pokémon Center (well, skated~) and I talked to Nurse Joy. But instead of her healing normally, the camera zoomed in on her face (like when you encounter a wild Pokémon) for the whole healing scene. Anyone know why? I don't know if this is true, but I think the EXP share doesn't halve the EXP you gain from battle and distributes it to all your Pokémon- I think it distributes whatever you gained without halving everything. I've had the same thing happen occasionally. The camera will sometimes change the angle from which you're viewing. It could zoom in, zoom out, or even angle from the left and right. I'm not sure why, though. Maybe to make the Pokémon Center experience less redundant? Last edited by GrassPokemonFTW; October 13, 2013 at 09:37:26 PM. Your Pokémon tend to do a lot of odd things after you use Amie on them a bit. Sometimes they will feel uneasy or excited, sometimes they'll shake, and sometimes they'll jump around and have hearts appear. They'll also get rid of their status effects, get extra Exp, etc. For some reason, I find this aspect of Amie incredibly cute. The cries certainly seem redone. Also, saving is incredibly fast! Apparently they went back and redid almost everyone's cries, and also did extra cries for different situations. No more pitch-shifting! Only problem with it is the auto sync (which I personally have disabled). It's pretty quick at home, but I'm absolutely sure my school Wi-Fi will confuse it. (It requires viewing a page in the browser and clicking "I accept.") Said Wi-Fi already confuses the eShop, making it difficult to download games at school. I wonder if that will also disable it connecting to the Internet all the time, as I don't want it hogging my battery except when I ask it to. Strangely... this game doesn't feel as powerful as the other ones. I guess I just have to play through more of it. Which I'll do in school when I'm with my friends. The battle graphics simply amaze me... but it's weird how they only allow 3D during that portion and cutscenes. No wonder the 2DS was released today, too. The PICA in the 3DS is not fast enough to keep up with the graphics. Even in 1v1 battles, the frame rate will nosedive if the 3D is anything other than "off". It makes sense for them to disable them for anything bigger than 1v1 because you'd be looking at a slideshow. It's kind of funny, though, when you consider that Gates to Infinity had no performance issues whatsoever. Perhaps poor optimization and/or styling overhead is in play here. At least it's not a Diamond/Pearl situation here: poorly programmed code that makes everything slow. Thankfully, the code side looks to be at least competent as it's still snappy enough. I can never get them right. Just pretend it's a normal yarn ball. As soon as it starts to connect with your Pokémon's head, tap. Everyone else got replaced too, but they are revamped instead of outright voiced. It feels the same-ish to me. I'm more annoyed at the unusually high amount of battles I'm getting in general, though. I'm way overlevelled before the second gym. And apparently, make sure-hit moves miss. Last edited by Twiggy; October 13, 2013 at 11:55:28 PM. Last edited by Sunny; October 14, 2013 at 03:40:13 AM. I found a hidden empty allyway in lumios city (The really big city in the middle) But nothing was there, i wounder if a legendary is to be there. Also my tyrunt is lv50 and still hasnt evolved yet? Thought maybe the T-rex would evolve at lv40 but i guess not. I hope they change the fourth gym's puzzle in the third version so it's not another stupid quiz based gym. Seriously that's the laziest excuse for a gym puzzle. I personally hope Head It gets patched. The in-game scoring stops at 999, then you get the combo bonus, which shows that it can still go over that. I've heard of some more serious bugs, though, like getting stuck in light poles while skating around. Those are the ones that really need to get patched. Masuda actually said no patches after release, although he better take it back soon. Showstoppers will probably get fixed. You're referring to the metagame, right? Last edited by Cat333Pokémon; October 14, 2013 at 12:07:36 PM. Hopefully non-metagame patches get fixed. Having your pokemon journey come to an end because you skated directly into a street light doesn't sound too fun. Guys, did you hear about the glitch if you save next to a car? Don't try it. It'll freeze your game causing you to restart. Since no one happened to answer this question, I'd better do so. It does evolve at Level 39, but only during the daytime. While on the subject of empty areas, there's an empty area in Reflection Cave that has a circle on the ground. Does that have a use later? Fun fact: If you pay attention to the dialogue, choices, and in-battle text, as well as bottom-screen mini-games, you find out that the player character is actually very talkative for a Pokémon game protagonist. Another fun fact: you can rub your Pokémon after some battles. If your Pokémon pauses when the fanfare plays, you can rub the bottom screen to make it happy. Has anyone found a Razor Fang? I need one to evolve my Gligar. I skipped AP Calculus today so I could play Pokémon Y with my friends. More specifically, Super Training I'm so overwhelmed by the grandiose of Lumiose City that I'm afraid to move on. So we fought against balloon bots for a good 90 minutes and did a little Pokémon-Amie. It was more fun than I thought. Last edited by Cat333Pokémon; October 16, 2013 at 05:41:19 PM. I got around to catching Xerneas, a while ago. I don't know the catch rate of the legendary, but it must be pretty high- caught it with my 2nd Pokeball. I think the story so far is pretty nice- as far as it is after catching the legendary. Last edited by Cat333Pokémon; October 16, 2013 at 05:41:13 PM. I just noticed, if you rub Pikachu's electric pouches in Pokemon-Amie, your hand will actually get shocked. 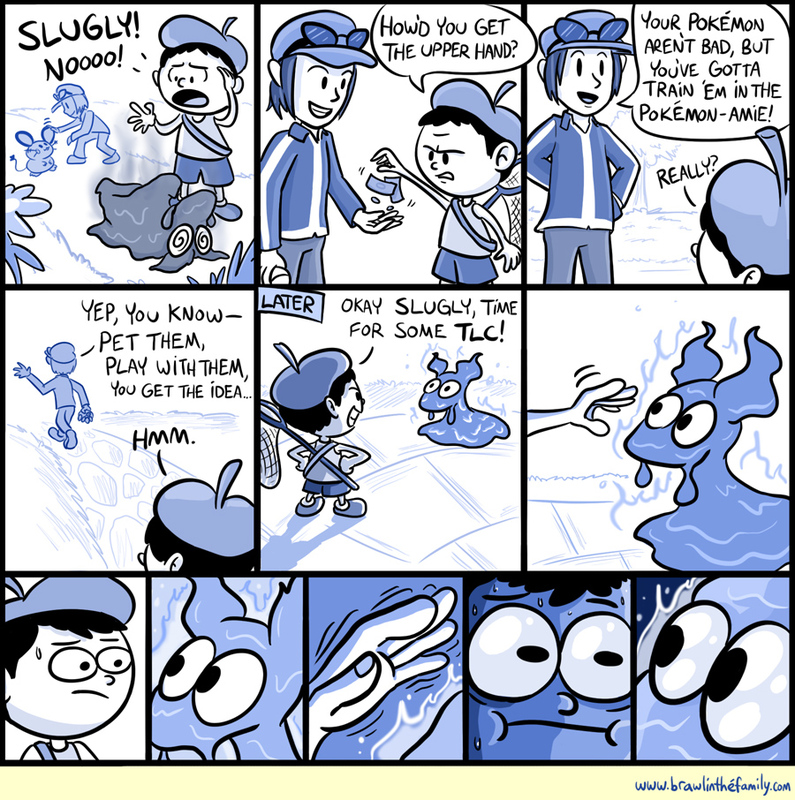 :I Does this happen with any other Pokemon or just another hint at Pikachu's supreme "Specialness"? The Daycare Couple don't look old anymore, they're like in their thirties or forties. Has anyone found a shiny yet? I've heard the rate is higher. I got burned when I rubbed too near to Charmander/Charmeleon's flames. Last edited by blueumbreon; October 17, 2013 at 03:57:05 AM. For those who don't know, Serebii updated their XY dex with the base stats of all the new Pokémon and all the Mega Evolutions. I can confirm that Exp. Share does share Effort Values, so if you're doing any breeding and battling prior to Super Training, make sure to be careful with that. Last edited by Cat333Pokémon; October 17, 2013 at 12:58:18 PM. Oh, flames. That reminds me. It seems that Pokemon happiness has been taken a step further with Pokemon-Amie. I don't know what it does, but my Pikachu seems to be very close to me, and it always jumps before a battle. I wonder if these effects carry on to Wi-Fi. Pokémon Amie does nothing on Wi-Fi. It's rather interesting finding the "sweet spot" to rub them.Some are on the head, and some are on the belly. Most hate when you grab their tail or poke them a lot. Sheesh, Linoone keeps giving me Sun Stones! I just got FOUR of them. I NEED A SUN STONE!!!! Also, is it wrong for me to change my goal from completing the game to "OMG, I MUST PET YOU ALL!" If you want, I can trade you one. Got anything on offer? Last edited by Cat333Pokémon; October 17, 2013 at 09:19:10 PM. Fun fact: you can't touch some Pokémon in Pokémon-Amie for obvious reasons. Can someone help me out I need to evolve my Spritzee? Check your bag pockets - there's a held item for that. Last edited by Twiggy; October 18, 2013 at 10:11:21 AM. Yep I need to trade. I also need to find a way to get Armatisse and Yveltal and I would have caught every Kalos Pokemon. Last edited by Magmaster12; October 18, 2013 at 10:36:21 AM. Have we yet decided if the shiny rate has been raised? I'm pretty sure it has. Last edited by Cat333Pokémon; October 18, 2013 at 12:41:19 PM. It probably has been raised. Though everyone seems to be finding shinies but me. I caught myself Zygarde yesterday, though. I love this guy. (As far as I know, it's based off the dragon which in it's mythology chewed on the roots of Yggdrasil. ) And he looks pretty neat. If they do make a Z version, I think it'd be nice to see how he could tie into the story line. I haven't found one yet, either. I kind of want to beat the game so I can start hunting without limitations (like my favorite Pokémon being in post-game ). Last edited by Cat333Pokémon; October 18, 2013 at 02:30:32 PM. I got nothing of interest at the moment. Probably won't in the future either. No worries. A friend tipped me off on where I can find one. So if Team Flare is hotter than everyone else, does that make Team Chill cooler than everyone else? Are they hotter than Team Magma, though? Team Magma and Aqua are fully irrelevant. Don't excite the fans screaming for Hoenn remakes. Though when I did see their name I did say "Hey, hasn't this been done before?" Team Flare was easily the silliest and most laid-back evil organization ever. I didn't even mind running into them because it was always a good time. Odd how I like their grunt battle theme more than the battle themes of any other teams' grunts. I love their team symbol and their ridiculous pose. If I cosplay anything Pokemon related anytime soon, Team Flare Grunt is at the top of the list. I've been doing so much Super Training these past few days. (What is school?) I can almost fully EV train any Pokemon in just 30 minutes after capture. It would have been nice to have known that powders don't affect grass types BEFORE Route 14. Why are so many people in this region obsessed with money? The Scary House was... really pathetic. And what does all this tip giving even DO? That Fairy type gym was just what I needed. Now I'm more well versed on which Pokemon have turned to Fairies and which new ones are Fairies as well. I didn't know the regional Pikachu was a Fairy, or that the... key ring thing... oh God, what IS that? Yeah, I also heard tipping might raise the shiny rate, but that's absolutely untested and unconfirmed. Also, if you need money, just go to the Battle Chateau every couple hours with the Amulet Coin. Last edited by Cat333Pokémon; October 19, 2013 at 10:06:36 PM. Oh good, I'm not the only one. I haven't yet beaten the game, but I think I found the huge problem: there is practically no post-game whatsoever beyond the usual meta-game and Battle Maison stuff. Looks like, aside from maybe some breeding, I'll be breaking out an older game (maybe I can resume White 2?) or buying Y. Or get my really loved pokemon and just dominate in my small circle... So far I'm winning this one! Attempt to compete in Battle Maison. It'll kickstart the post-game plot. Also, to people that want to get X or Y (or maybe both): get a screen protector for the bottom screen at the very least. You'll thank me later - Super Training introduced a lot of hairline scratches in the centre area of the bottom screen. Last edited by Twiggy; October 20, 2013 at 03:52:11 AM. I can't confirm, but I'm pretty sure that No Restrictions is the same thing as it was last Gen, what you are is what you are. But Level 50 all free battle is much better than the ultra restrictive flat battling. No restrictions is what it says - Anything goes, all levels, items, etc. are kept the same. My friend just came into my dorm room and showed me the Shiny Spinda he caught a few minutes ago. How is everyone getting shinies? I've even been trying to find one for the past 2 days. Now imagine a HORDE of Spinda's and you'll be happy again. Yep! You get 7 boxes spare at the end, too, which is very nice compared to the two extra that you had in B/W! After all that I finally made it to Victory Road. I imagined the first trainer would say something like "You've made it to the final frontier, are you prepared for what's ahead?" Instead, I get "Everyone keeps challenging me to battles! I just want to be alone with my Pokemon!" The only Kalos pokemon to have are Slurpuff and Aromatisse. I would really appreciate if someone helped me out because these pokemon require for me to trade. Completion of the Kalos Regional Pokedex, methinks. Yes I guess I wasn't making myself clear enough, I need Slurpuff and Aromatisse to complete my Kalos Pokedex and it requires trading so I need help. I have my Slurpuff that we can temporarily trade, but I need an Aromatisse myself. I think this is something I like about having a worldwide release (and the 3DS not yet being hacked): we have to learn everything together instead of just reading the information discovered while the games were out in Japan only. Last edited by Ningamer; October 21, 2013 at 12:05:00 PM. Gah, I hate that critical captures can fail. I got all excited for nothing. A dude in Victory Road said "My body is ready." This is when you know it's gone too far. Having done some of the post-game activities in Pokemon X, I started up Pokemon Y for the first time to journey through Kalos once again. I wasn't a big fan of how easy Pokemon X felt, so throughout Y I won't be using the Exp. All. Based on how often I leveled up while playing X, disabling the feature should make things a lot more pleasantly difficult. Also, did anyone else notice the return of some sounds when using moves? I got a lot more excited than I feel I should have when I heard the Gen. 1 noises of Psybeam, Psychic, and Hyper Beam. There's just something about hearing noises from the Gameboy error which is pretty great. There is no Department Store, but Lumiose City does have most of the major stuff (Pokémon Centers with the standard fare, all purchasable Poké Balls, various stones, herbs, juice, haircuts, lottery, Furfrou froufrou, and plenty of battles). I just realized mail is gone. Did anyone actually use it? I never understood anything about the mail system. I didn't have any use for mail. I had no friends to send it to so it just... sat there. But what I DID use were ball seals and I got very upset when they were first removed. So many cool features only last one generation... WHY? Oh hey, but what about the Vs. Seeker? You didn't answer that part of my question. I want to rebattle the trainers. Last edited by TurtwigX; October 23, 2013 at 02:27:17 AM.